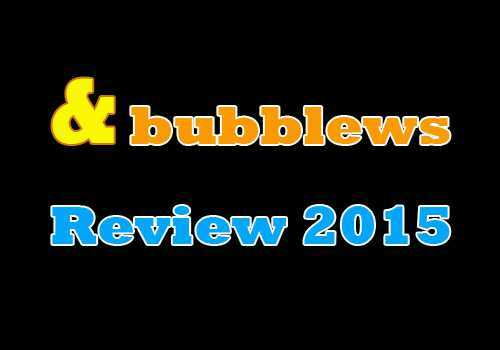 It’s been a while since I have used this site but I decide to write a Bubblews Review 2015 because lots of things has change since I had talked about this article writing site. Bubblews has started few years back when Squidoo was hit badly by Google search penalty during those Google Penguin algorithm update. When Squidoo had started changing their rules and deleting lens right and left so many of their member based left the site and end up searching for alternative. This new Bubblews site launched with totally different approach for this. Anyway to to make long story short unlike all revenue share sites like Hubpages, these guys paying you for views, likes and comments you receive rather than simply sharing review from affiliate sales or ppc profits. Even here your earnings depends on what they earn from ads which display on your posts. So it’s not like you are getting paid for all those views and likes which is a usual misunderstanding. Well I don’t call it a scam site. But since the begin I had suspicions whether they can sustain long term with their revenue model. Even though they haven’t bankrupted from the changes they have made and how things working there these days I think owners having hard time to keep things going. But it seems they are doing their best to keep things going and pay members. Here are some main pointers about the site and various important facts you need to know before starting working there to earn money. How to earn money from Bubblews ? You earn for Likes, Views, Comments you receive for each article. They pay for these activities not for the articles. They used to pay for limited social shares like Facebook, Twitter and Google+ sharing but not anymore it seems. What you earn for Likes and other activities is not a flat rate. It depends on what advertisers pay for geo location of the visitor. For example you will get higher rate for visitor from USA or Canada and might earn nothing for user from Congo or Somalia. They no longer accept members from Bangladesh, Pakistan, and Vietnam due to spam problems. It’s not fair but we can’t do much about that. You must have a Paypal account to join Bubblews. You can only have one account but 2 people from same house can register as long as they have separate Paypal accounts. You can only get paid by Paypal, No other payment methods available at the moment. Each user need to have his/her own paypal account. Minimum payment amount is $50 and you can redeem only once in 30 days. Minimum payment used to be $25 but not anymore. Receiving payment can take up to 90 days for users from out side USA. There are issues about payments. My personal experience is I received around 20 payments and then missed 3 payments. At that point I stopped using the site. When I sent them a mail I got a reply saying payment will be sent in next few days but after that site changed layout and they started new system for checking for missing payments. It’s been more than 3 months since I last checked but nothing happened. Well nothing last forever so I have moved on. It’s getting harder and harder to earn there and you have to spend more time and you are earning cents. but even that can be lost. Missing payments are very common. This has happened to even really good writers who write long articles. So if you are a good writer then it’s a waste of time for you. There is a high demand for quality content writers these days. You just need to find a good place to sell your articles. Or it’s better long term starting your own web site or blog and posting quality content. Then earning money using Google AdSense or other affiliate sites like Amazon Associates.